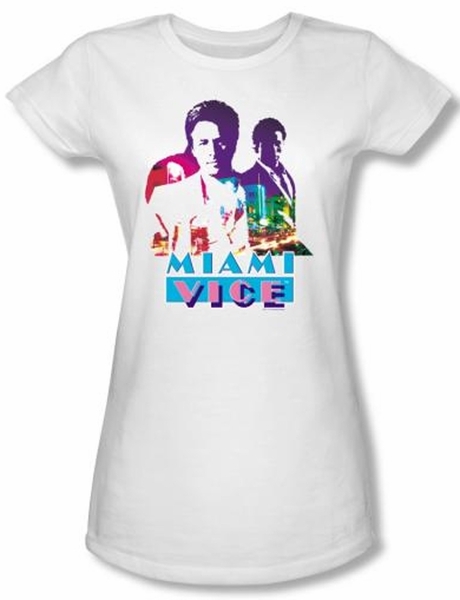 This Miami Vice Juniors T-shirt features a great design of Crockett and Tubbs with Miami Vice written underneath. Our Miami Vice T-shirt is a perfect 100% preshrunk cotton baby doll t-shirt for any Miami Vice fan. Miami Vice is a widely known 80s American television series produced by Michael Mann.